Produce Your Own Soundtrack to Life! 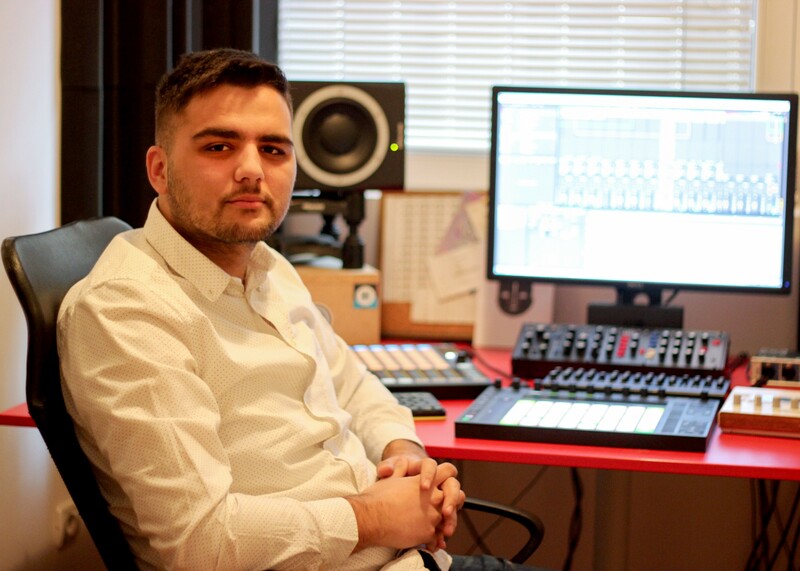 Tomislav Jovanović from Obrenovac, Serbia, hopes to one day produce original Roma-inspired music for a film production that will win awards and international recognition. Ever since I was 10, 11 years of age I began to put together music sets because my dad runs a radio station in our home town. Together with stacking adverts, assembling music sets and growing up with 5 sisters, this was a recipe for creative and fun childhood and growing up. It is, therefore, not really a surprise that I opted for studies at the Arts academy, where I am studying for a Bachelor's degree in sound engineering and music production. So far, I have not encountered any discrimination on that path, nor any other kind of hurdle that would arise from my being an ethnic Roma. Indeed, in every year of my school attendance there's always been a number of Roma pupils, but if there is one regret that it is that even more should and could have joined us in school. There is a degree of ambivalence, a certain lack of appreciation for just how crucial it is to ensure school attendance and prevent kids from dropping out of school. This is not only about the availability of means to support kids financially. Some of my own friends and neighbors from my part of town simply were not interested in completing high school and dropped out for lack of motive. They did not consider it important enough. I, on the other hand, remain convinced that pursuit of education is absolutely crucial and not (only) so for families and communities, but above all for the youths themselves. Some parents do not see this as a priority, but they are hard to work with and convince otherwise. They tend to hold on to deeply rooted ways of thinking and patterns of social behavior. That's why I always say that we should focus on working with the children and ensure their commitment to education from an early age. It is especially important to explain to teenagers the role of school in their formative years and the future quality of their lives, which also includes making sure they look up to the right role models. My own ambition is to promote Roma culture through film and music. In arts, there are no excuses, only hard work and one's creativity. And sure, I have my own role models in the big names of music production, but on the world stage, such as Chris Lord, for example. Nevertheless, I am looking for my own original artistic expression by producing music which will be styled on our own Roma heritage.